Getting fitted to my black modular rims on Tuesday morning (all going well), pictures will follow in due course!! Dont think you will have a prob going anywhere with them tyres also lok like they would be ok on the road. Not had them up to speed on tarmac yet, but the tread pattern is identical to the current BFGoodrich mud terrain pattern, so I'm hoping they perform just as well as those do!! Roz, What tyre pressure do you run your 90 at? 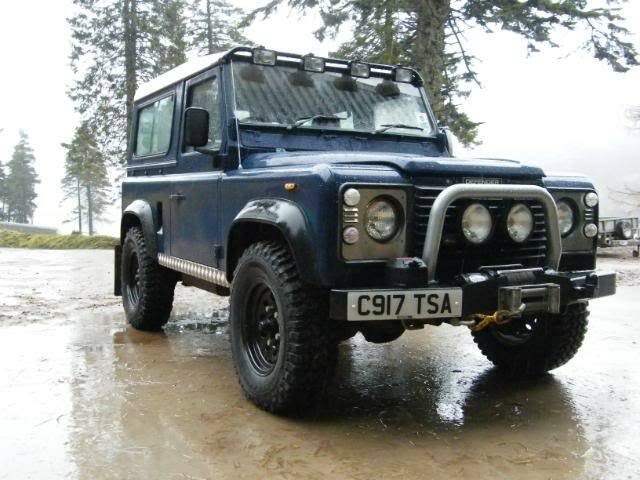 Or any else with a series/ defender? I've put mine up to 35 for now, it's not really off roaded and everything I've done lately has involved a fair bit of tarmac, but in the winter I'll drop them back down to 25, it makes a massive difference in the snow. If I was doing anything serious off road I'd probably drop them a bit more, but as an all round compromise 30 psi is pretty good all round for my size if tyre.